31" 29 1/2" 36 1/2"
What a sweet dress! It is simple, elegant and perfect for my 8 year olds first communion. Good quality too! When ordering for the first time from this site, I thought, "I'll take a chance on the quality for that low of a price. "...BOY am I glad that I did!! I'll be ordering again soon! 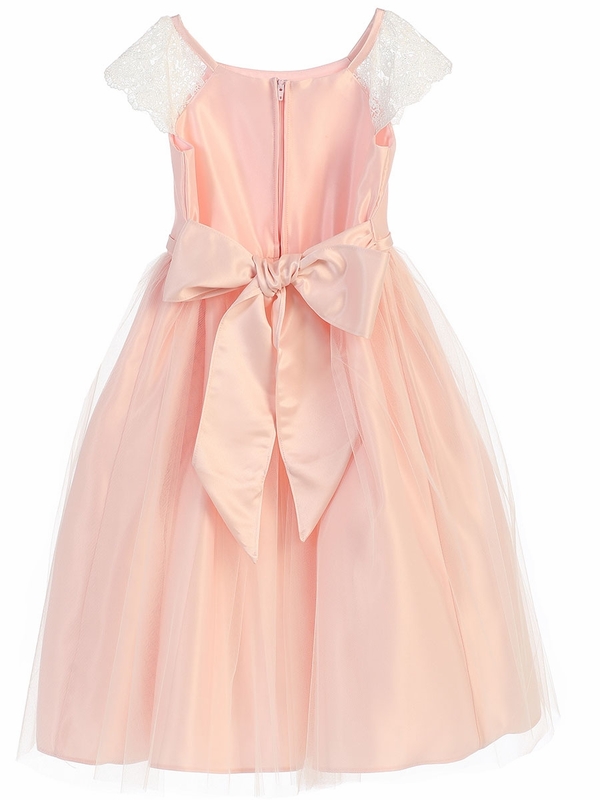 Ordered for my daughter's First Communion, absolutely loved this dress. Fit like a glove and looked stunning!! This dress is so pretty. We couldn't be happier with this purchase. My granddaughter was excited to wear it for her first communion and she looked beautiful in this beautiful dress. Very well made and we would recommend to others to purchase it. They would not be disappointed. Consthe lace on the sleeve is off white which may bother someone looking for a totally white dress. High end quality of the material! Absolutely gorgeous dress! High qualify. Even more beautiful in person! Be sure to measure your child for the perfect fit based on the size chart provided. The quality is vey nice and the size is true to measurements. This is a perfect flower girl dress if you are looking for *pure* white. It is not ivory at all. I love the lace cap sleeves, the smooth bodice, and the gauzy skirt. My 4yo says it�€™s her princess dress! Beautiful dress. No surprises which is always a plus when ordering online! The dress is beautiful and fit true to size! 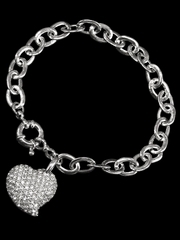 Orderd for my daughters first communion in May. Tried it on and she made me cry she looked so beautiful. She wears a size 7 but ordered a 6 (measure your daughter!) perfect fit. ProsRead the sizing chart before ordering. This dress came quickly and is stunning! Perfect for my daughter's First Communion! Dress is very pretty, great quality, and true to size. My daughter chose this dress and couldn��‚��"�t wait to receive it. She immediately put it on and it was perfect. Very happy with purchase. This dress is awesome and is even better on the little princess. It is going to be perfect for the wedding of her father. This dress is just beautiful. The price was amazing and the quality is great! We ordered a veil shoes and tights also and we love everything!! This dress is even more beautiful in person. 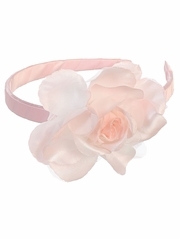 It is classy and elegant, perfect for my daughter's First Communion. The lace cap sleeves make it sweet and dainty. My daughter loves it and it's comfortable for her. Quality is top notch and it was received well packaged. Ordering process was easy, will definitely buy from here again. 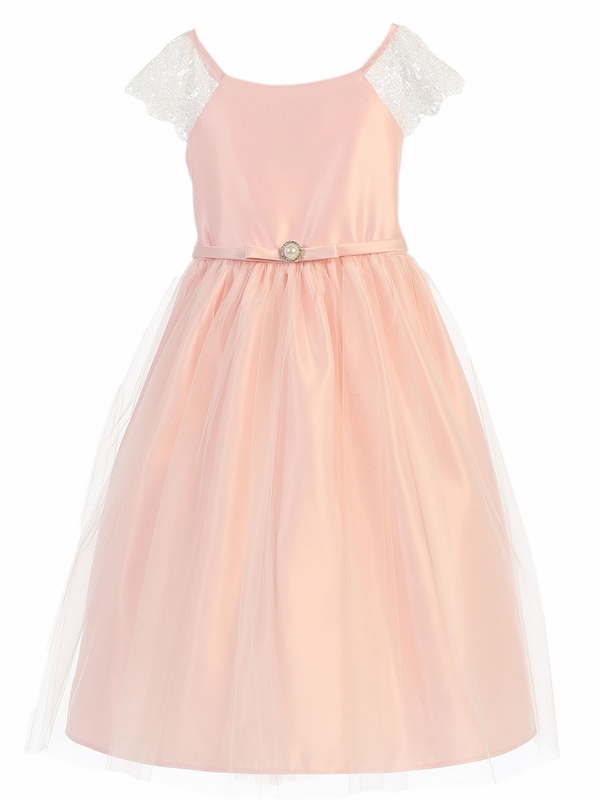 Very nicely made and high quality dress that was perfect for First Communion. Fits true to size. So glad I purchased this dress. The dress is even more beautiful in person. It fits my daughter perfectly. It is for her communion. The quality is fantastic. Stunning dress that is even more beautiful in person than in the pictures. I brought this for my daughter first communion and it was perfect. Thanks you!! I bought this for my daughter's First Communion. It fit perfectly (though I did order a size up based on measurements on the site) and looks wonderful. It's a very sweet dress for a little lady. I'd definitely order again. I was looking for a dress that was simple yet elegant for my daughters holy communion. This dress is absolutely perfect. Came exactly as pictured and has sweet details and lovely lace cap sleeves. I paired it with the corded rosebuds communion veil. They look perfect together!